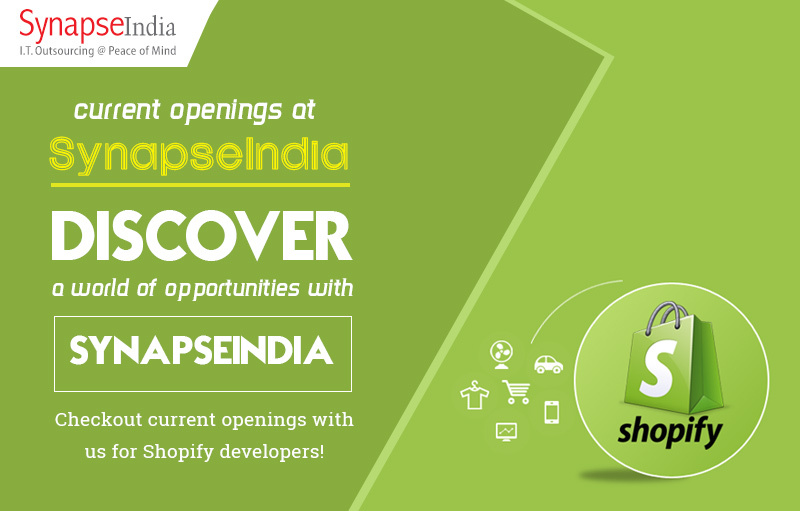 SynapseIndia current openings are for Shopify experts at our Noida based company headquarter. We are known for offering great employee benefits and a healthy workplace environment. Shopify has become a popular platform to build online stores faster than ever before. The platform enables you to design, develop and manage your online store with higher ease. Our professionals are well equipped with the modern skills, expertise and infrastructure to help you in building highly secure, scalable and customized online store for your business. Join us in this exciting journey and build great digital products. So, if you want to be part of an exciting and rewarding career, you need to checkout for SynapseIndia current openings for Shopify experts.